Fried chicken is without a doubt one of my all time favourite foods. Whether it’s in the form of a sandwich, popcorn bites or goujons, the crispy good stuff is high up on my list. So when it came to Butchies, it was a no brainer to head down to check out and see what this place was all about, especially when their Korean kimchi and honey wings won the highly coveted wing fest. There’s no doubt that Butchies cook their chickens really well and this is done with two simple methods. First they use only free range chicken and marinate it for 12 hours in buttermilk before being coated in a mixture containing flour, herbs and spices. Immediately after it is pressure cooked to lock in that all important moisture and flavour before being fried and getting that final crisp coating. For sure this is all mouth watering stuff and this method ensures that the chicken is top quality every time but unfortunately it just falls short at the final hurdle. It is a banging piece of chicken where the skin is crisp and crunchy and has a sneaky little kick from the secret seasoning but it lacked the all important salt especially in their original burger. Not even the garlic and herb mayo dressing could save it. On top of this, Butchies cheese fries fails to hit the back of the net and sadly the cheese runs to the bottom of the cup rather than clinging onto the humble potato chip. What about the award winning kimchi and honey wings? well they were unavailable at the time. All is not lost though and there is one saving grace in the form of Jenny from the Block. This is where Butchies comes out on top. 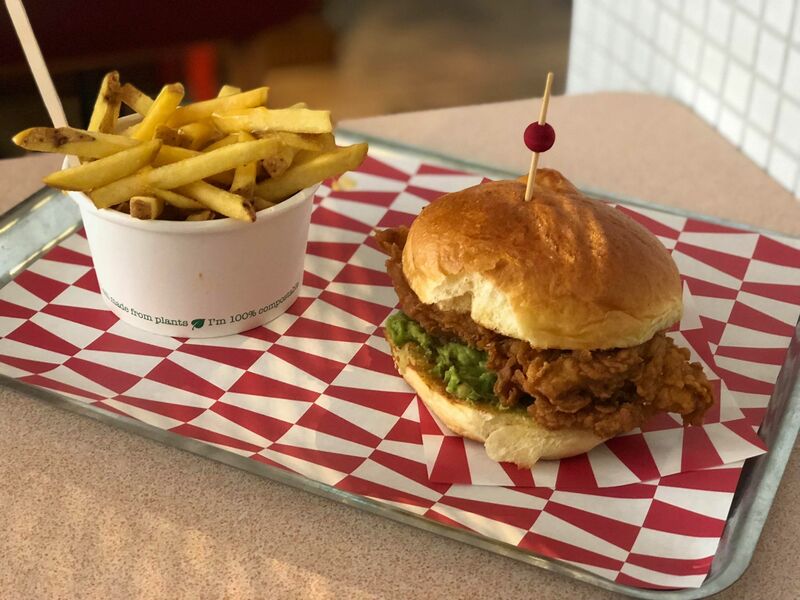 It is the fried chicken sandwich that everyone should order with a delicious bit of thigh meat fried and topped with a good dollop of creamy guacamole, crispy streaky bacon and a good spread of chipotle mayo. It’s a beast of a sandwich and deserves high praise. Butchies is seen as the best fried chicken in London, however, I’m not the only one that thinks it’s a shame that the little details stop it from being up there at the top with other fried chicken restaurants. There’s a bit of work to do for this place and if they improve the seasoning and work on the sides, then hopefully Butchies can go from being in the nearly gang to number one champion.